This article is about Provinces of Nepal. For Provinces of various countries, see Pradesh. The Provinces of Nepal (Nepali: नेपालका प्रदेशहरू Nepalka Pradeshaharu) were formed on 20 September 2015 in accordance with Schedule 4 of the Constitution of Nepal. The seven provinces were formed by grouping the existing districts. The current system of seven provinces replaced an earlier system where Nepal was divided into 14 Administrative Zones which were grouped into five Development Regions. The Provinces of Nepal were formed on according to Schedule 4 of the Constitution of Nepal. The Seven provinces were formed by grouping the existing districts; two districts, namely Nawalparasi and Rukum, were split between two provinces. Each district has local units. Nepal includes six metropolises, 11 sub-metropolises, 276 municipal councils and 460 village councils. The current system of seven provinces replaced an earlier system where Nepal was divided into 14 Administrative Zones which were grouped into five Development Regions. In January 2018, the Government of Nepal announced temporary headquarters of the seven provinces. According to Article 295 (2), the permanent names of the provinces will be determined by a two-thirds vote of the respective province's legislature. The executive power of the provinces, pursuant to the Constitution and laws, is vested in the Council of Ministers of the province. The executive power of the province shall be exercised by the province Head in case of absence of the province Executive in a State of Emergency or enforcement of the Federal rule. Every province has a ceremonial Head as the representative of the Federal government. The President appoints a Governor for every province. The Governor exercises the rights and duties as to be performed specified in the constitution or laws. The Governor appoints the leader of the parliamentary party with the majority in the Provincial Assembly as the Chief Minister and the Council of Ministers are formed under the chairpersonship of the Chief Minister. A Pradesh Sabha or Provincial Assembly is the unicameral legislative assembly for a federal province. The term for the Provincial Assembly is five years, except when dissolved earlier. Candidates for each constituency are chosen by the political parties or stand as independents. Each constituency elects one member under the first past the post system of election. Since Nepal uses a parallel voting system, voters cast another ballot to elect members through the party-list proportional representation. The current constitution specifies that sixty percent of the members should be elected from the first past the post system and forty percent through the party-list proportional representation system. Women should account for one third of total members elected from each party and if one-third percentage are not elected, the party that fails to ensure so shall have to elect one-third of total number as women through the party-list proportional representation. A party with an overall majority (more seats than all other parties combined) following an election forms the government. If a party has no outright majority, parties can seek to form coalitions. 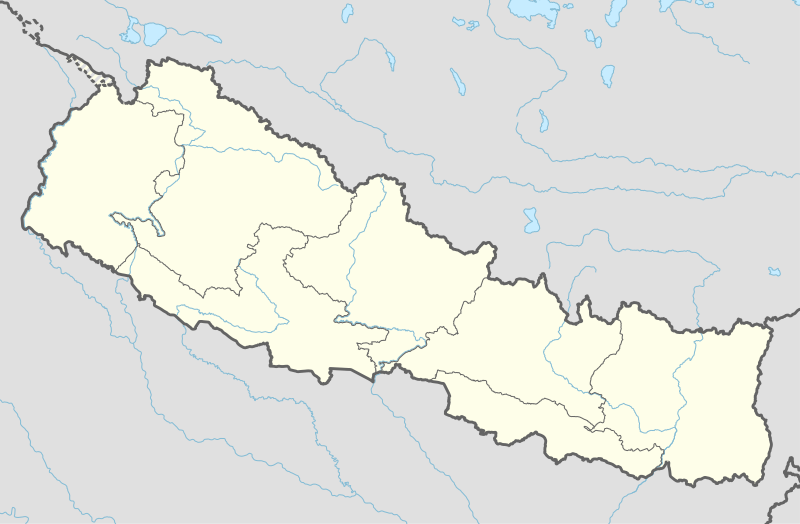 Wikimedia Commons has media related to Provinces of Nepal. ^ Kathmandu Post (2017). "744 new local units come into effect". Kanntipur Publications Pvt. Ltd.
^ "Govt fixes temporary state HQs, guvs". Kathmandu: Kathmandu Post. 2018. ^ "NEPAL: Diluted proportional electoral system". scoop.co.nz. Scoop world. 16 October 2017. Retrieved 8 December 2017.